Supported by JOC . 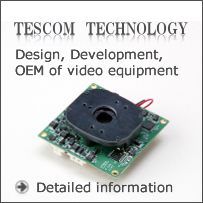 Copyright (C) 2019 CCTV TESCOM JAPAN CO.,Ltd. All Right Resrved.